Thanksgiving is a holiday of food, family, and fun, but sometimes it’s nice to let someone else take care of the cooking…and the dishes. If this sounds like you, there are plenty of places to celebrate the holiday in Orlando. Thanksgiving is a holiday of food, family, and fun, but sometimes it’s nice to let someone else take care of the food…and the dishes. 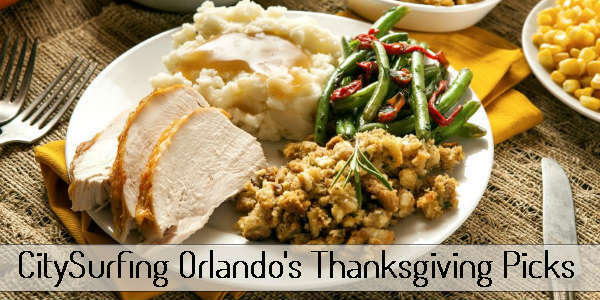 If this sounds like you, there are plenty of places to celebrate the holiday in Orlando.